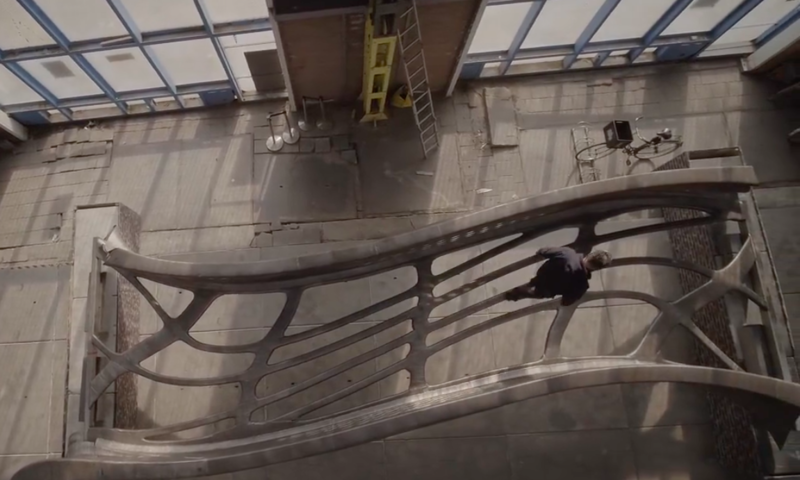 The buildings and infrastructure of the not-so-distant future might look like they were dropped here from an alien planet thanks to the complex geometries and curvaceous surfaces robotic building technologies are able to produce. 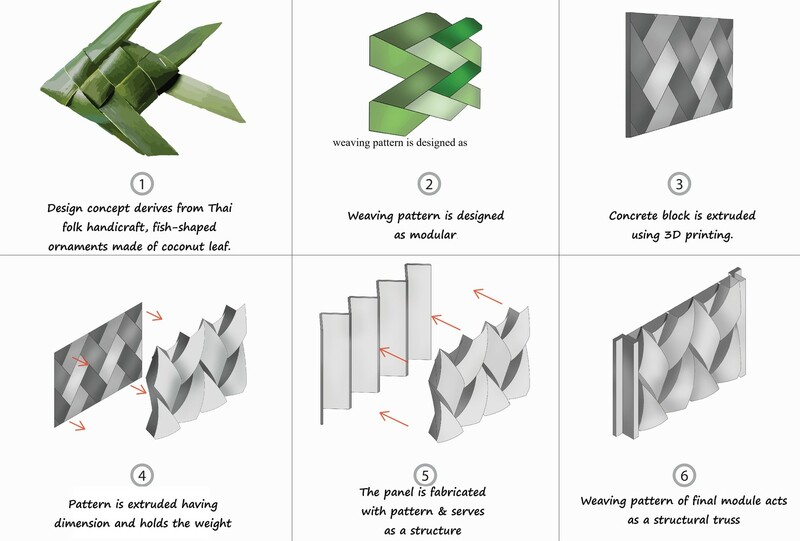 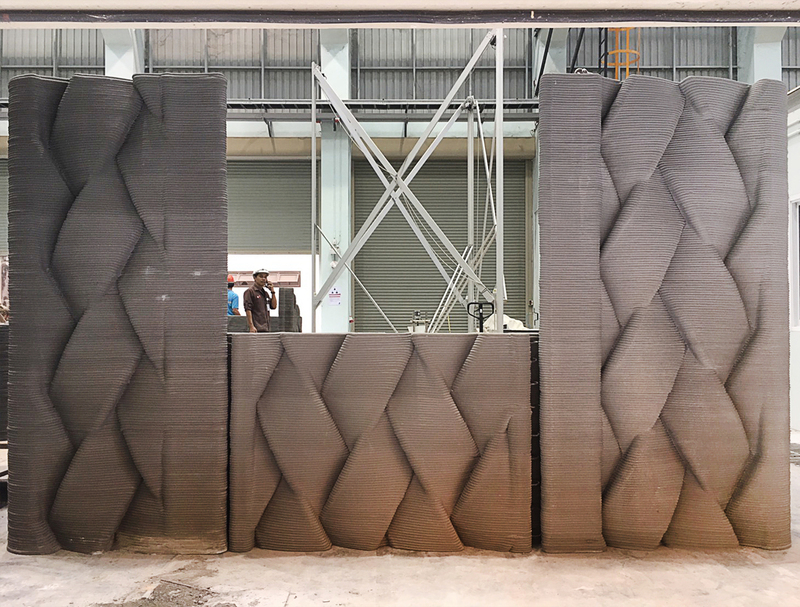 3D printing in metal and concrete are among the biggest breakthroughs, but robots can also set building materials like bricks into place with unprecedented precision and produce prefabricated timber modules of the sort usually created by craftspeople. 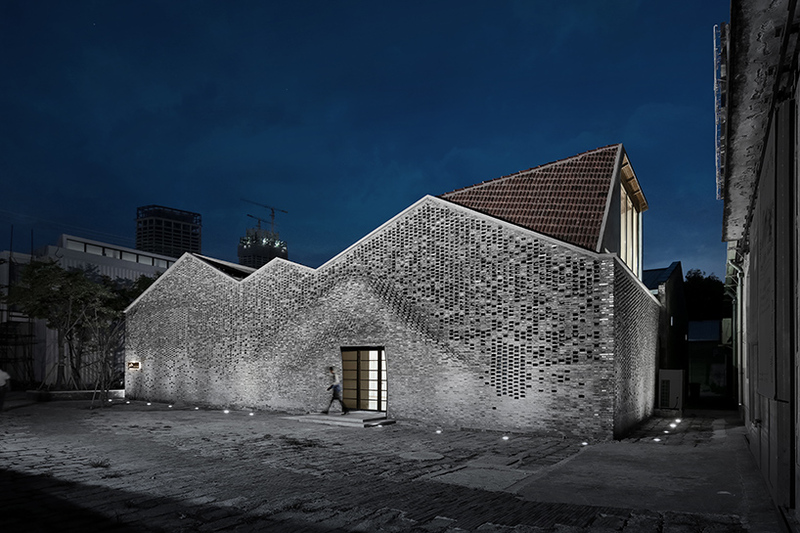 These 13 recent projects give us a glimpse at what we might be able to expect over the next couple decades. 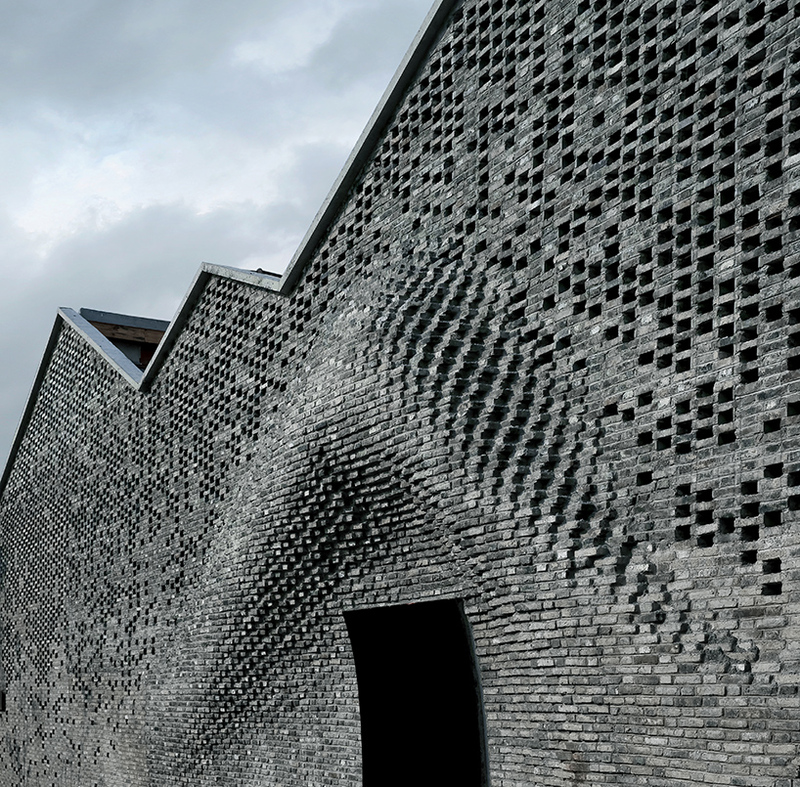 Think old-fashioned timber construction could escape the grip of digitalization? 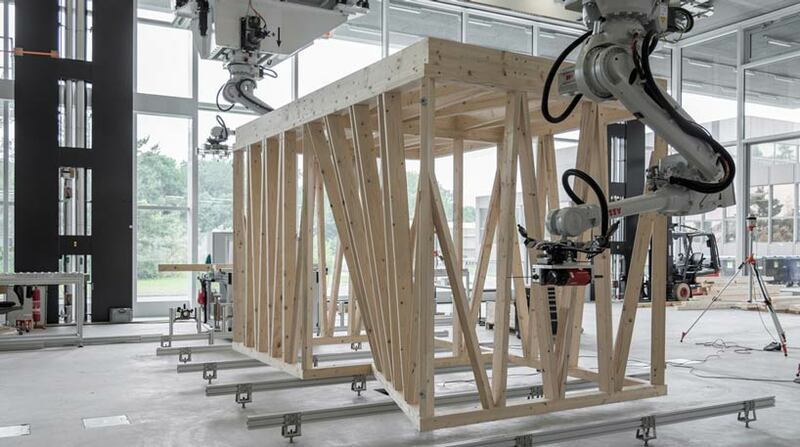 ETH Zurich proves that isn’t true with the creation of load-bearing timber modules prefabricated by robots in the company’s new laboratory. 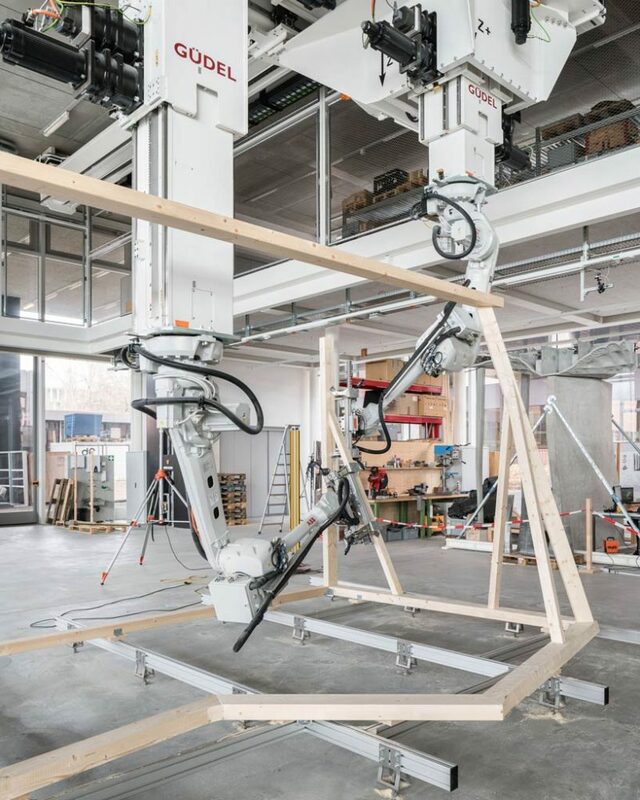 A single robot guides each beam as it’s sawed, and a second drills holes before the two robots collaborate to position the beams in the correct spatial arrangement. 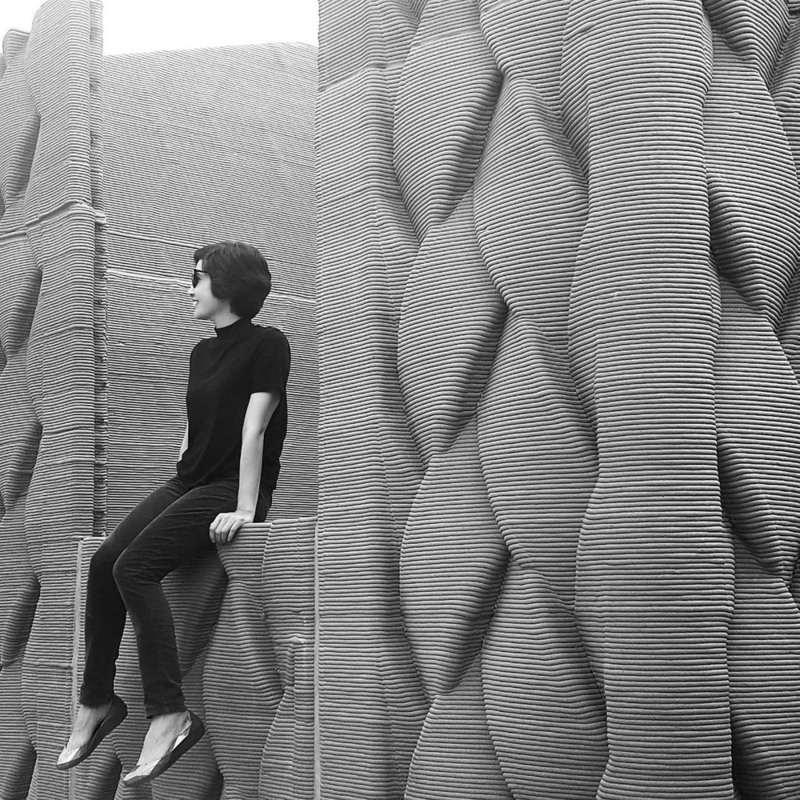 The result is a geometric structure that can be joined with other units to create a three-dimensional volume. 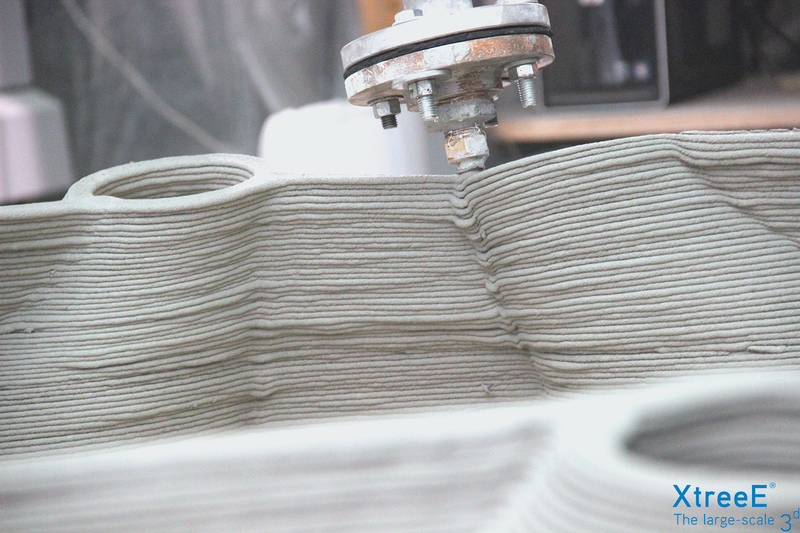 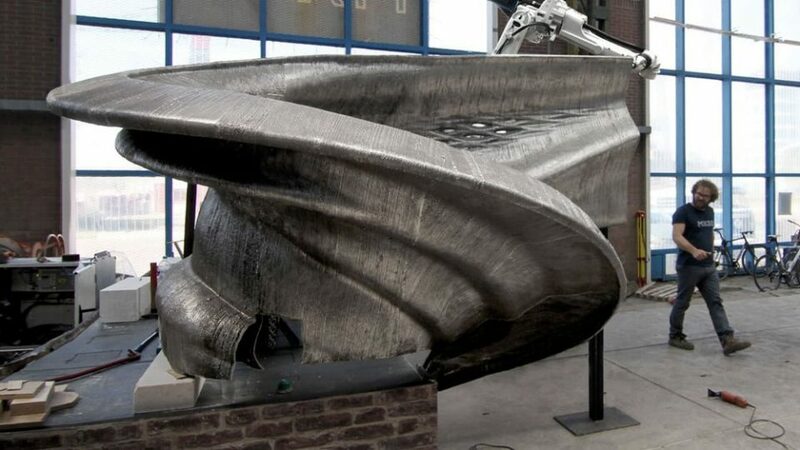 Looking almost like it was sculpted from clay and fired in a massive kiln, this truss-style support is actually made of concrete that was poured into a 3D-printed mold. 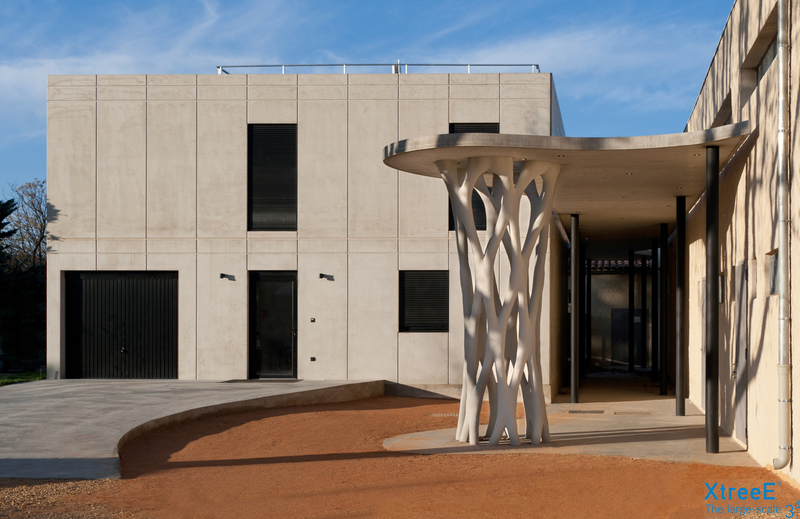 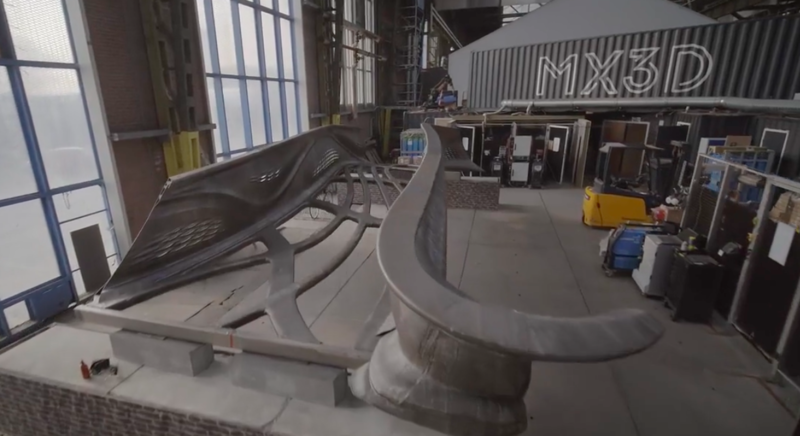 The firm XtreeE programmed a robotic arm to extrude concrete into the shape of the outer layer of the structure, poured more concrete inside, and then filed the envelope away.